I was given some cosmetics from Couleur Caramel to try some time back and today, I’ll give a quick review on their lipstick and mascara. Couleur Caramel hails from France and offers a comprehensive range of cosmetics made from mineral and vegetal organic ingredients. 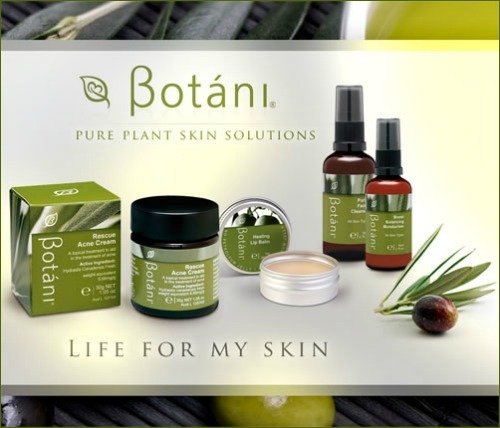 The products are made without parabens, mineral oil, phenoxyethanol and PEGs, and comes with a Cosmebio Bio label. The Cosmebio BIO label basically means that a minimum of 95% of the specific item is of natural origin and that 95% of the certifiable ingredients are in fact organic. 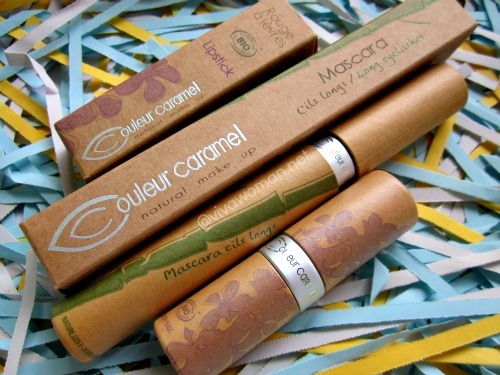 Couleur Caramel cosmetics are not tested on animals and recycled materials and refills are used in its packaging wherever possible. 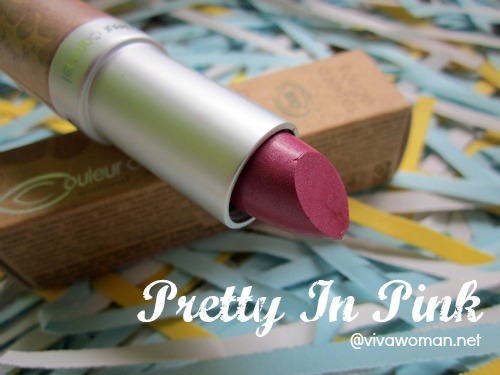 The lipstick that I received is 203, a lovely pink which compliments my skin tone very well. It is rather pigmented but only somewhat moisturizing. I find it applies better when used with a lip balm as when I use the lipstick on its own, my lips tend to peel after a few hours. Nevertheless, I quite like this lipstick because of the pretty color and have been using it daily during this stretch. I can’t say the same for the mascara though. First off, there’s nothing outstanding about this mascara as it does not make my lashes look thicker or longer as promised. Second, it smudges even though description states that it’s supposed to last all day. I wore it out only once because when I checked my eyes at the end of the day, I look like I had really bad dark eye circles. 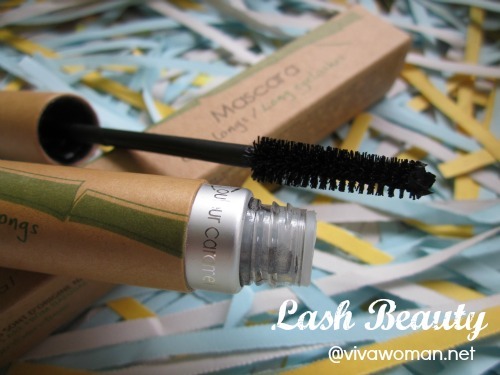 I suppose water based mascara don’t work well for me but the good thing is that it’s easily washed off without having to use any special eye makeup remover. Because I’ve only tried two of their products, so I can’t say much about this brand. But Couleur Caramel has some attractive looking eye shadows that I don’t mind trying. Perhaps next time. 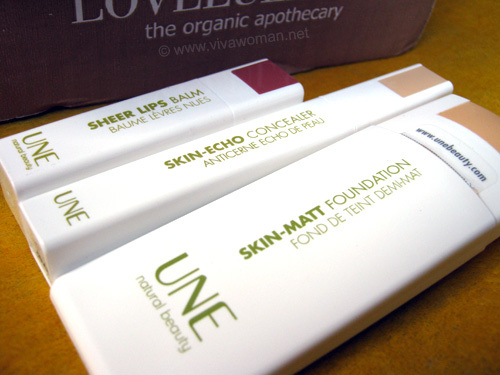 The lipstick and the mascara I’ve reviewed were sent from The Nature Of Beauty on a complimentary basis. 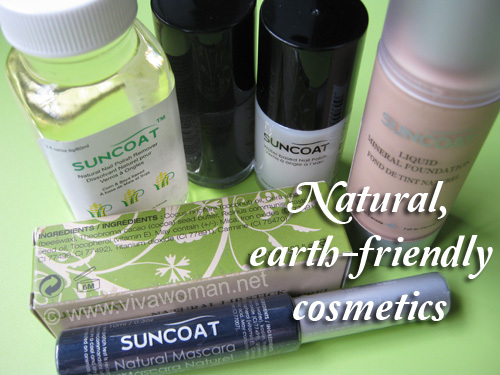 The online shop carries a number of natural and organic brands and do ship internationally. I understand that outside of Europe, Couleur Caramel is also available in Australia. I just finished a bottle of Helicare. Not sure how much sun protection it is giving me but I do notice my skin has turn a tad fairer. I didn’t notice Heliocare making my skin fairer when I was taking it. But it’s expensive. Yup, it still cost me $60 after a 20% discount. 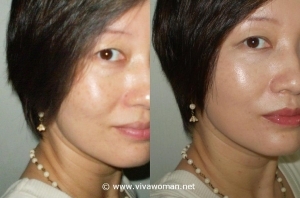 However, I had stop taking & started on Vit E instead. I was told the antioixidant in Vit E can also prevent UV damage. Moreover, it is cheaper than Heliocare. Yes, better still if you combine vitamin E and C.
Haha…yes, we want our stuff to be good and cheap. but in this case i used the make up and it is the BEST!! Jemma last post is: Skinny Fiber Price – Is it Affordable? That pink lipstick is divine! But I would definitely need some cute eyeshadow with it! Yes, it would complement most eyeshadows quite well.